SFSafariViewController is another new addition in iOS 9, and it’s a great one. Get ready to throw out all that custom in-app browser or third-party library code you’ve been using. 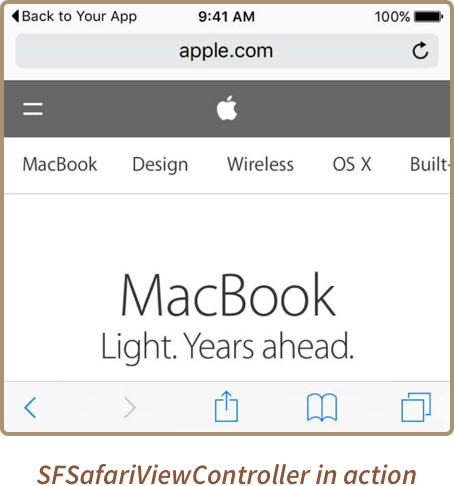 Unlike other solutions, SFSafariViewController embeds all of the power of Safari on iOS (including Autofill, shared cookies, etc.) directly into your app.